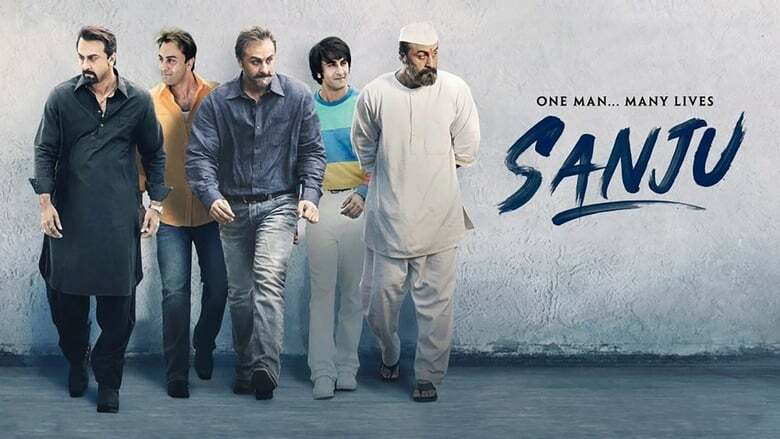 Sanju is a film co-written and directed by Rajkumar Hirani. Having watched the trailers I knew I was in for a blast. And finally after a delay in watching thefilm, I came out of the hall happy as ever. Plot: The film chronicles the life of Sanjay Dutt from 1980s till his release from jail in 2016. Story and direction: With a film like Sanju, Rajkumar Hirani had a big responsibility in his hands. Firstly, to be able to present the story of Sanjay Dutt to the audience in a way that is not cringe-worthy and secondly, not to disappoint his audience with a different kind of film that he was making. But Raju Hirani just did it again and he yet again just proved why he is the most sought after director in recent times. Hirani and Abhijat Joshi (co-writer of the film) have crafted a wonderful story that encompasses the varied life of actor Sajnay Dutt. Nevre for a second does the film meander around. Hirani just knows what emotions of the audience to tap. From scene one, you feel invested in this story. Although this film is not as light-hearted as his previous ventures, but he insert some scenes that do generate some laughs and they don’t feel forced. Also the themes of friendship and parenthood are so correctly justified in this film that I just couldnn’t complain. Since Hirani does edit his films himself, so he just knows what is necessary in the film. I would like to commend on the make-up team who have just made the actors look so real. Also the VFX team does a great job at merging the Sanjay Dutt’s film scenes with this film. But I did have one small little problem with the film. But I would say this is me being nit-picky. There is a particular scene where the timelines don’t match and a small little conversation that made no sense. Performances: Never in a film I have seen where everyone was either great or extraordinary. Ranbir Kapoor so beautifully embodied Sanjay Dutt that I felt I was watching Sanajy on the screen. Paresh Rawal was also good as Sunil Dutt. Manisha Koriala also gave life to Nargis beautifully. Vicky Kaushal mastered the Gujurati accent with ease in addition to giving a compelling performance. Anushka Sharma, Jim Sarbh, Diya Mirza and Sonam Kapoor did deliver some good performances. Music; Raju Hirani just gives the perfect music to his films whci I do like. He relates his songs to the particular scene. My favorite song was ‘Kar Har Maidaan Fateh’. Favoriet Scene: It would be the scene where Sanju gives a speech of thanking his father. That scene depicted how special is the father-son bond. Verdict: With his fifth film, Raju Hirani just proved that he is a hit machine unlike any other.